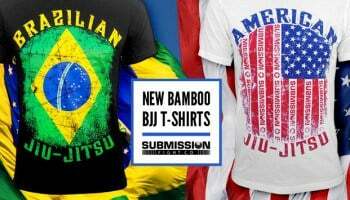 The history of Brazilian jiu-jitsu is right at the heart of Mixed Martial Arts. That fighting history, of seminal “vale tudo” (anything goes) competitions and inter-style challenges in Brazil, has almost always been told by the Gracie family – and sometimes it’s been a fight in itself. Rorion Gracie’s “Gracie Jiu-Jitsu in Action” series offered one take. More recently, Renzo Gracie co-produced a documentary, with a bit of a different story (reviewed here). 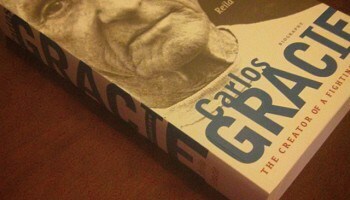 Another, Reila Gracie, authored a book about family patriarch Carlos Gracie (reviewed here). Who did what? How important was it to the art’s development? We hadn’t heard much from outside that family at the BJJ foundation – someone who might be willing to question some basic assumptions. One author has tried to change that – launching a book series which tries to offer a scholar’s take on the matter. Last year, Roberto Pedreira released Choque, the first volume in a project which promised to tell, as claimed in the book’s subtitle, “The Untold Story of Jiu-Jitsu in Brazil, 1847 to 1949.” Choque (which is a Portuguese word for an athletic competition, here used to describe a “ring sport”) gathered a comprehensive look at jiu-jitsu (and other ring sports) from the media of the day, and ended up giving a very different story from what had been told before. In his research on the first hundred or so years of jiu-jitsu in Brazil, Pedreira’s Choque Volume 1 (reviewed here) challenged just about everything we heard before – from the idea that Mitsuyo Maeda introduced jiu-jitsu to Brazil, to the story of how family patriarch Carlos Gracie learned from him, to the character of the old fights the Gracie family promoted and participated in. In this, the second volume of “Choque,” released last month by Pedreira’s GTR Publications, the attention shifts to what is called a golden era of the ‘gentle art’: from 1950 to 1960. Pedreira recounts the stories of Helio Gracie coming out of retirement to face judoka Kato and Masahiko Kimura; the rise of Waldemar Santana, and the new Gracie family champion, Carlson Gracie. The first Brazilian jiu-jitsu tournaments were organized in this era, along with a series of televised vale tudo matches. Late in the decade, judo began to accumulate momentum, as Brazilians gravitated to a form of competition which was accepted internationally. Helio Gracie’s matches with Kimura and Kato receive a substantial spotlight here; as sources — from the media to Kimura’s own autobiography — are compared and examined. Pedreira notes how the “fight game” was affected by the political climate of the day, particularly in Brazil’s Japanese community. Following Helio’s retirement after his defeat at the hands of Santana, Carlson Gracie emerges the era’s most prominent fighter. But a Japanese immigrant, Takeo Yano, and the new star Santana, are actually the most active. Meanwhile, Helio fails an attempt to begin a political career. The Oswaldo Fada (usually spelled Fadda) lineage receives some attention here as well. There were claims of a victory by Fada’s academy over the Gracie Academy in a 1951 challenge, but Pedreira’s research disproves it. 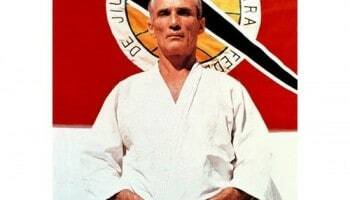 Still, Fada was a prominent instructor of the day, producing several important jiu-jitsu fighters. Choque Volume 2 is a dry read at times but overall, it’s much easier to enjoy than the first volume; probably because virtually everything in this second volume seems relevant to today’s MMA/BJJ scene. It would be easier to enjoy if Pedreira organized his research by subject (each individual) rather than year, but it seems he prefers to offer his readers a textbook feel. 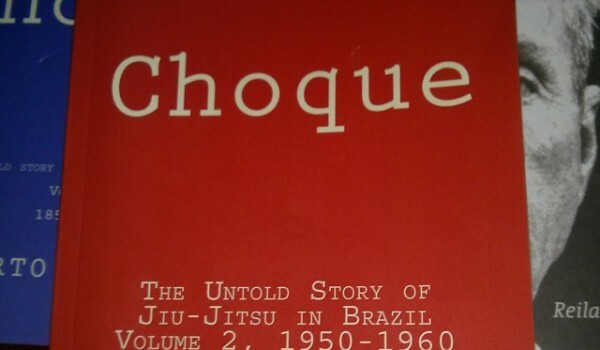 But then again, that’s what makes Choque volume 2 unique – and it is a must for anyone interested in jiu-jitsu history. It’s a scholar’s take, where we’ve basically only gotten marketing, and sometimes a family arguing in their stories about their beloved parents and grandparents. It’s another forward step to really understanding our sport’s roots.